Perhaps I was foolish to expect better visibility than I got this morning, although the Met office did indicate an “E” for excellent visibility. 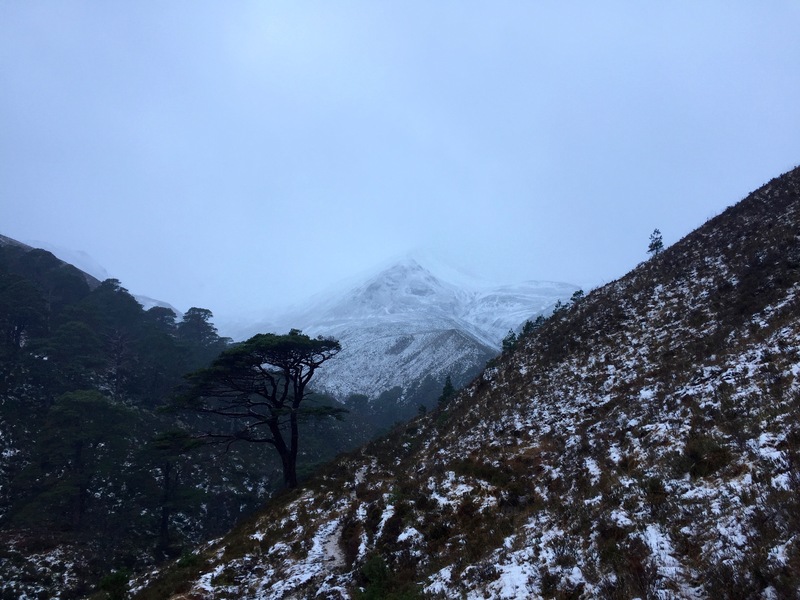 There were rain showers in the glen and it was cloudy on the hill with snow. Glimpses of brightness were trying to push through at times and it clearer up well a bit later with sunny spells. 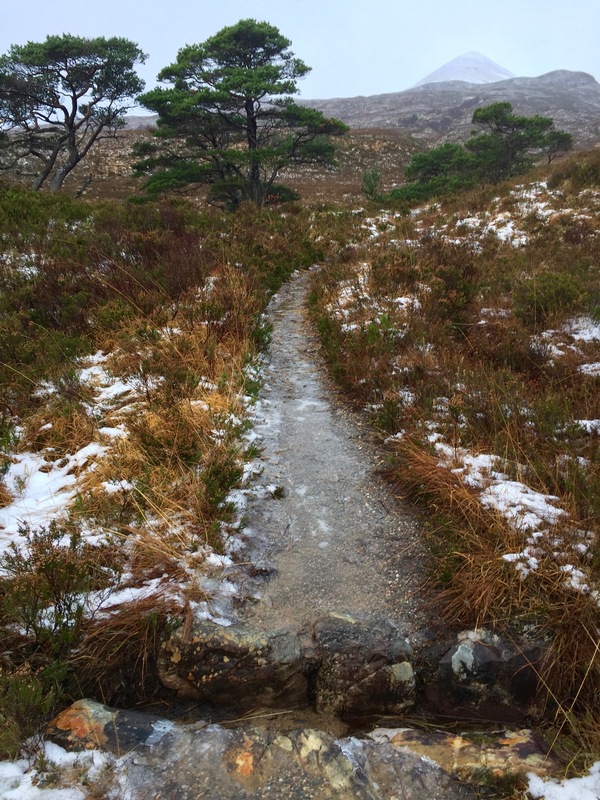 Lower paths have long icy sections and these were quite treacherous to walk along. Creag Dhubh, Beinn Eighe from the Alt a’ Chuirr path.